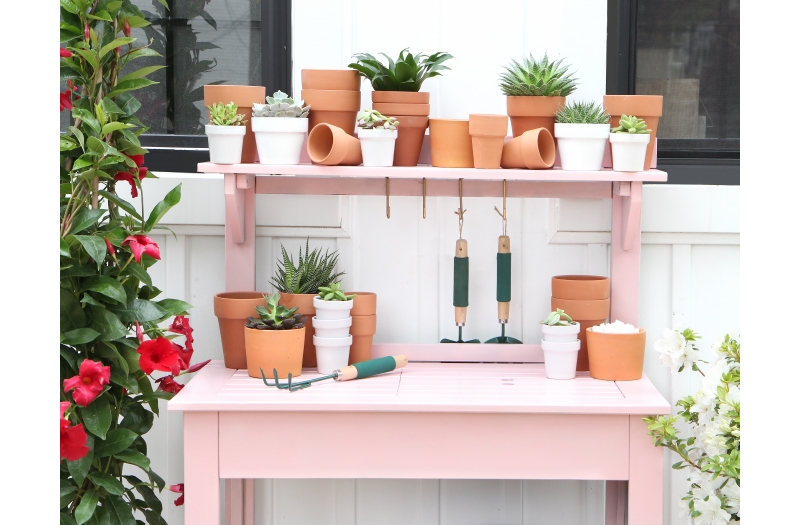 Make a stylish potting station this summer with Krylon®! In a well-ventilated area, assemble your potting station and lightly sand the surface to create a smooth base to work with. Before you begin painting, read the can label for proper application and safety instructions. Spray the entire potting station with Krylon® Outdoor Décor Satin Hibiscus. Use 2-3 coats of paint and allow to fully dry. Add your favorite plants, succulents and any gardening tools of your liking. Enjoy your new potting station!